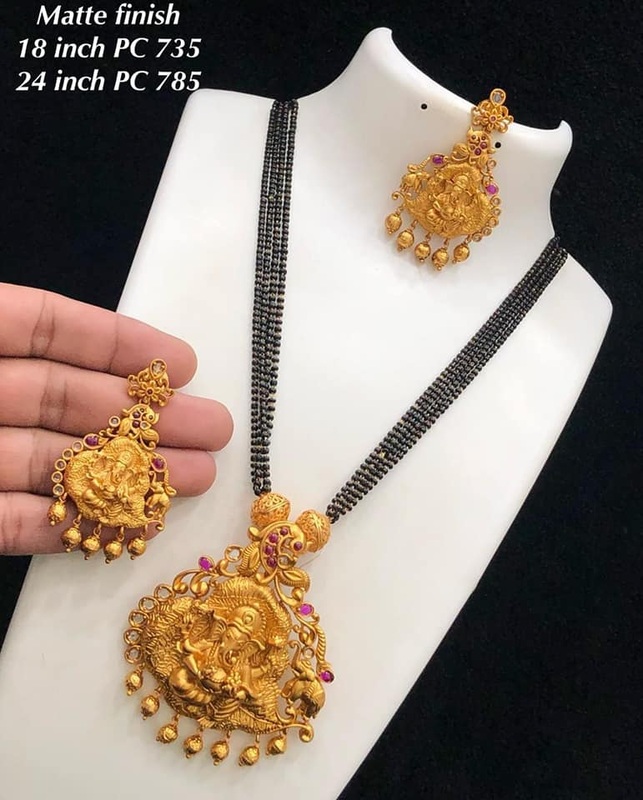 One gram gold black beads with Peacock jumkha pendant! 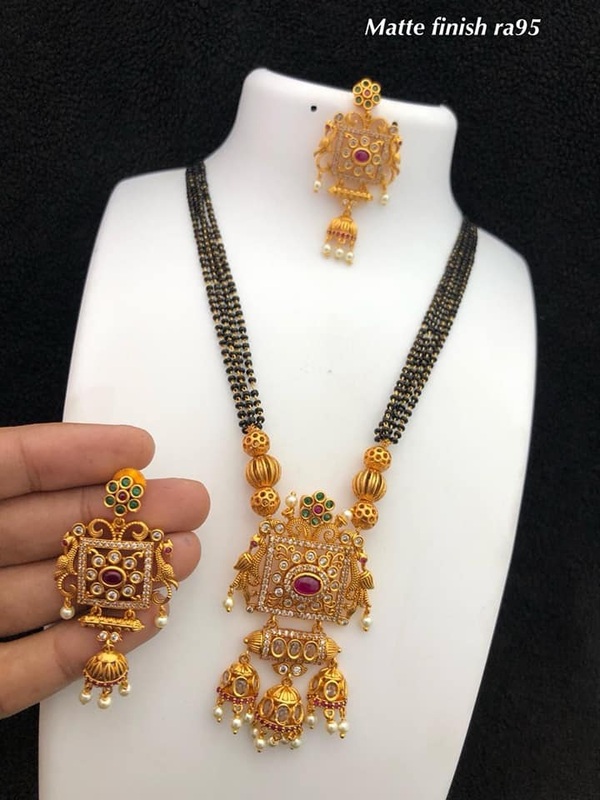 Four layered black beads design with matte finish jumkha pendant paired with matching ear rings. 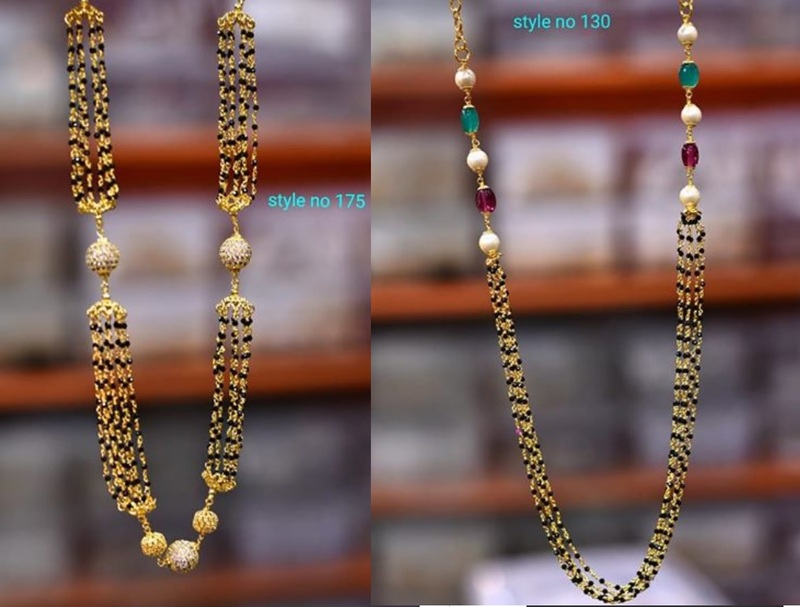 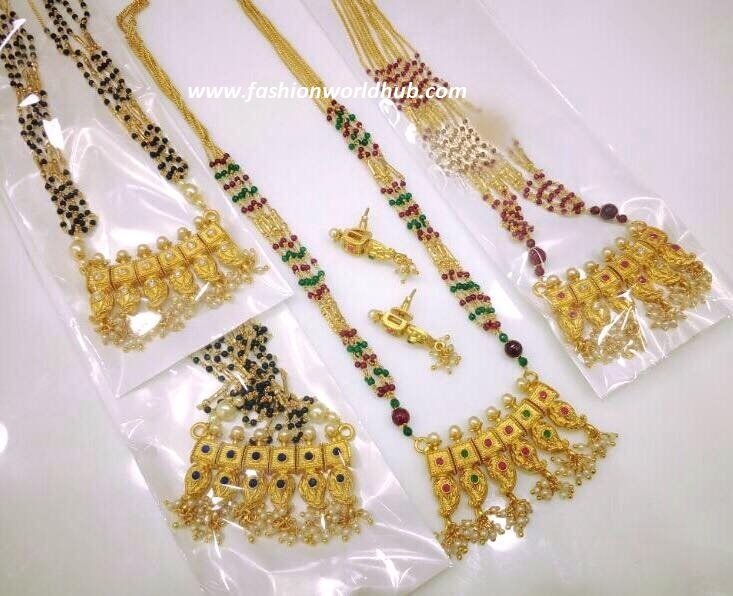 One Gram gold Black beads designs!